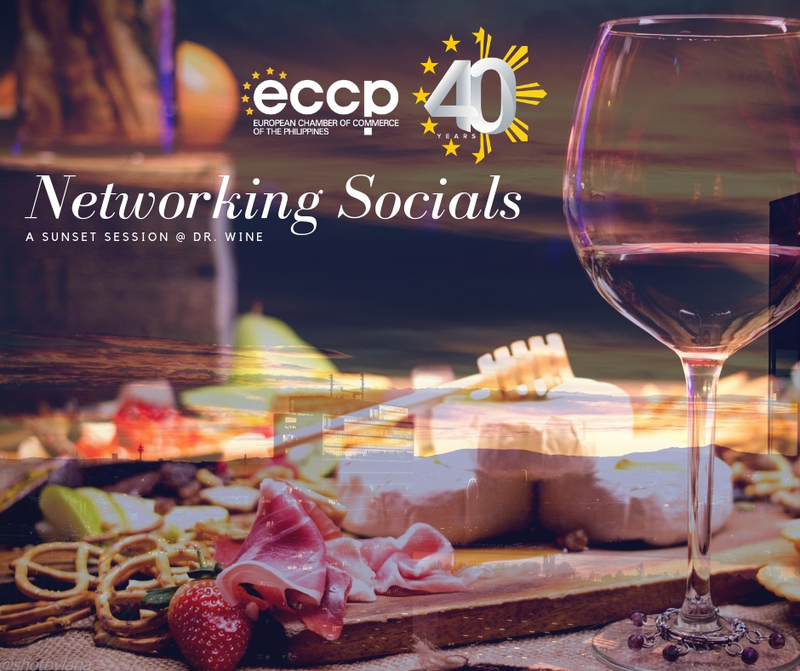 We're back for another round of the ECCP Networking Socials, and we can't wait to have you all join us again! This October, we're taking you to one of the metro's most sophisticated wine bars for some of the best vino in town, overlooking the golden Makati skyline. We know no better way to network and build contacts than bring together the business community over a night of free-flowing fine wine, antipasti, music, and great company. Make sure to stock up on those business cards and bring your friends with you for a great evening of networking. Registrations are considered confirmed slots and will be billed accordingly. Slots are transferable, with advanced notice. Cancellations should be made at least 48 hours before the event. Important Notice: No shows will be billed at full cost.